Dachigam National Park ( Home to Rear Species) Dachigam is located in the Indian state of Jammu and Kashmir in the range of Zabarvan Moutaiins and is one of the most important and Famous wildlife parks in northern India. This national park is located in the Srinagar region, at a distance of around 19 kms Approx away from the city. The entire national park is very vast and covers an overall area of around 141 kilometres (sq). Dachigam is also know as fish population The Trout. The national park in Dachigam houses many rare species of flora and fauna, as the entire Himalayan region is rich and full of wildlife and greenery. Tourists visit the Dachigam National Park mainly for this reason, in order to catch a glimpse of some rare species of animals or plants. The park is located at an altitude of 5500 feet to 14000 feet above sea level, and the landscape consists of both cliffs and grasslands. The lower parts of Dachigam National Park are covered coniferous forests, and scrub vegetation is also prevalent among the higher regions. The many rare trees you can spot in Dachigam National Park are Poplar, Walnut, Apricot, Apple, Pear, and Wild Cherry, Plum, and Chestnut, Willow, Oak and Birch trees. You can also spot jackals, hill foxes, jungle cats, long tailed marmots, Himalayan weasels, otters, leopards, musk deer, Hangul, Himalayan brown/ Black bears and leopard cars while in Dachigam National Park. Musk deer, Leopard, Himalayan serow, Himalayan grey langur, Leopard cat, Himalayan black bear, Himalayan brown bear, Jackal, Hill fox, Himalayan weasel, Yellow-throated marten, Jungle cat, Long-tailed marmot. Cinnamon sparrow, Minivet, Black bulbul, Himalayan monal, Golden oriole, Woodpecker, Babbler, Redstart, Wagtail, Koklass pheasant, Orange bullfinch, Kashmir flycatcher, Tytler's leaf warbler, Himalayan rubythroat, Black-and-yellow grosbeak, Himalayan griffon vulture, Red-billed blue magpie. India's one of the best zoo in Kashmir where you can found diffrent rear species such as Black Bear, Moutain Loin, Leepard, Geez . Jeep is available in the park for 2 Kms via Trout fish farm while taking a ride you can see Black langoor, Hangul, Black Buck and other Species. You can track to Tarsar Marsar or Sonmarg by track. Many trekking trails offering medium to hard adventurous trekking. But you need profesional Guide to Track Online Holidays offers the same. Dachigam National Park experiences a temperate climate, and temperatures hardly rise through the year. The weather is always cold, with mild summers; very cold winters are constant snowfall through the winters. Dachigam National Park is thus best visited during summer time, when the weather will generally be quite warm and inviting. You can also visit Dachigam National Park during the early winter months before the snowfall starts. Summers in Dachigam National Park extend through the months of April, May and June. The months of July and August experience a few showers, although nothing much significantly. The maximum temperature that the region experiences during the summer months will be around fourteen degrees (14°C) and the minimum temperature will be around eight degrees (8°C). The winter months in Dachigam National Park will experience a maximum temperature of around four degrees (4°C) and a minimum temperature will range around minus two degrees (-2°C). You should visit Dachigam National Park before peak winter, as the snowfall can cut off the upper reaches of the park. 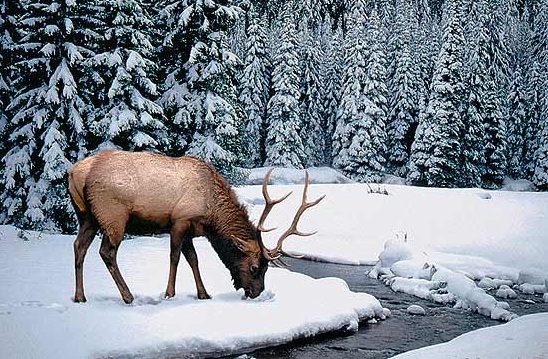 Winters in Dachigam National Park run through the months of October, November, December, January and February. Snowfall occurs during the month of December. This is not an ideal time to visit the place. (July to August) receive very moderate rainfall and is not enough to cause any disruption to the tourists. Gulmarg is a beautiful hill station where the winter season is very good for enjoying snowfall and indulge in snowboarding and long-run Skiing and various sport sports activities are also held. Summers are ideal for Gulmarg tourism. Enjoy scenic beauty along with various adventure sports in summer months.